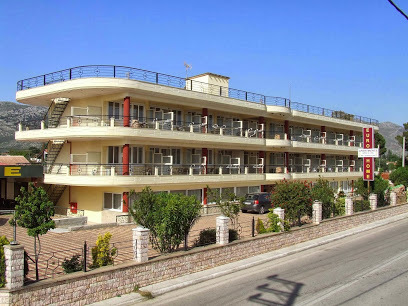 Euro Hotel is a modern 3 star hotel in Paralia Marathon, right on one of the most beautiful beaches of Attica. Is an excellent choice, for a demanding client, at a convenient price. Our aim is to make your stay in our hotels unforgettable and to match your expectations. Free wireless internet (Wi-Fi), activated with a code given by Reception. Single, twin or double, triple beds rooms available. The colorful restaurant at Euro Hotel, with a capacity of 250 seats, has a wonderful cuisine, greek an international, at a fair price. It offers a rich breakfast, included in the cost of accommodation, for a nice start of your day. Breakfast room is open from 08.00 - 10.00 hrs. For your entertainment, enjoy the nights in the company of our artists and their live music. Marathon Hotel is a classic hotel where your staying can be comfortable. Our aim is to ensure that each of our guests enjoy the tradition of hospitality that was the distinguishing mark of all the great greek houses of the past. The restaurant of Marathon Hotel has a capacity of 100 seats.